William Clay Ford Sr., the father of current executive chairman William Clay Ford Jr., joined the company board of directors in 1948. 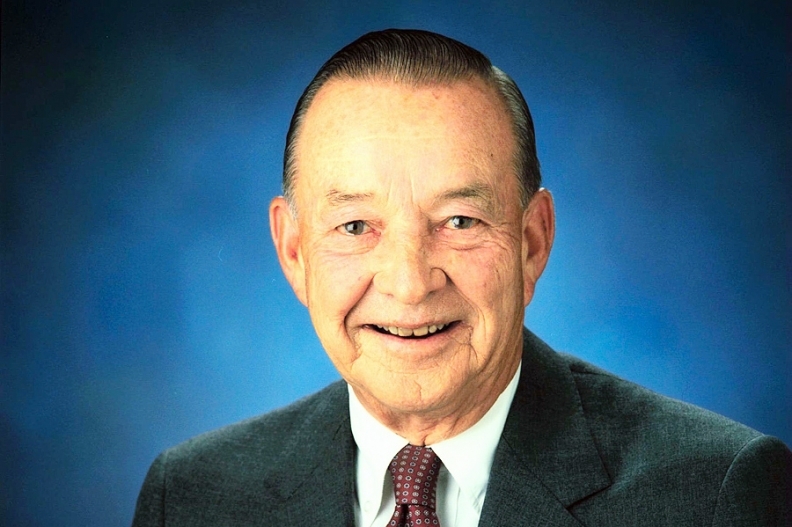 DETROIT -- William Clay Ford Sr., a former Ford Motor Co. vice chairman and the last surviving grandson of company founder Henry Ford, died today at age 88. He died of pneumonia in his home in Grosse Pointe, Michigan, the automaker said in a statement. Ford, the father of current executive chairman William Clay Ford Jr., joined the company's board of directors in 1948. He was 23 at the time. He took a job with the automaker the next year, the start of a career that ended with his retirement from Ford’s board in 2005. Many of his roles were in planning and strategy. He chaired the company's Design Committee for 32 years. On the board of directors, Ford had long been a member of the powerful Finance Committee. He was chairman of the committee from 1987 through 1995. The Finance Committee decides how the automaker allocates capital and other funds, giving it control over which product programs are approved. William Clay Ford Sr. was born in Detroit on March 14, 1925, the youngest of the four children of Eleanor Clay and Edsel Ford, Henry Ford’s only child. Benson Ford died in 1978; Henry Ford II, longtime CEO and chairman of the company, died in 1987; and Josephine Ford died in 2005. He attended Detroit University School in Grosse Pointe, Michigan, and Hotchkiss School in Lakeville, Conn., according to a company biography. He enlisted in the U.S. Navy’s Air Corps in 1943 and was in flight training when he was discharged two years later at the end of World War II. In 1947 he married the former Martha Firestone, whose grandfather, Harvey, had founded the Firestone Tire & Rubber Co. and was friends with Henry Ford. They had three daughters and one son. Ford graduated from Yale University in 1949 with a degree in economics, then joined Ford Motor’s sales and advertising staff. In 1951 he became quality-control manager for the Lincoln-Mercury Division’s jet-engine defense project. Time magazine put Ford and his two brothers on its May 18, 1953, cover, with Henry Ford II, the company’s president, at the wheel. William Clay Ford “was handsome, athletic, charming and, unlike [brother] Benson, showed some flair for the company business, both in design and finance,” Automotive News wrote in a 2003 retrospective that addressed Henry Ford II’s higher rank among the siblings. Bill Ford was made general manager of the Continental Division in 1954. The two-door Continental Mark II was the most expensive car sold by the company. It also lost money, and plans to expand the lineup were abandoned. Over Bill Ford’s objections, the division was folded into Lincoln shortly after the company’s initial public offering in 1956. “Just as Ford stock was being sold to the public, and the company was being reorganized along the lines of GM so that it was no longer a family business in the same sense that it had been for over a half century, the family drama involving the isolation of Benson and Bill reached its denouement,” authors Peter Collier and David Horowitz wrote in their 1987 book, The Fords: An American Epic. He was also owner of the NFL's Detroit Lions after buying full control of the franchise for $4.5 million in 1964. Besides his son, Ford also is survived by his wife of 66 years, Martha Firestone Ford; daughters Martha Ford Morse, Sheila Ford Hamp, and Elizabeth Ford Kontulis; 14 grandchildren and two great-grandchildren. William Clay Ford Jr., left, with his father at Ford Motor Co.'s annual shareholders meeting in 2003. The 1987 death of his older brother, Henry II, made William Sr. the family patriarch, and he would help preside over family meetings to monitor company finances. Nick Scheele, a former Ford Motor president and former CEO of Jaguar Cars, said William Sr. was one of the key supporters of Ford's 1990 purchase of Jaguar, the British sports-car maker, and appreciated fine European design. "You could see it in his Continental Mark II," Scheele said. "He had a great eye for styling." In 1999, William Sr. saw his son, Bill, become chairman. Two years later, directors ousted Jacques Nasser as CEO and Bill took over. As CEO, Bill would oversee two restructuring plans. In 2006, in the midst of a company-record $12.6 billion loss, he yielded that post to Mulally, who led a turnaround that restored profits. William Sr. shunned the spotlight, but at times talked about his grandfather giving him his first driving lesson at age 10 -- they were going 70 miles per hour with young William in Henry's lap when a policeman stopped them. 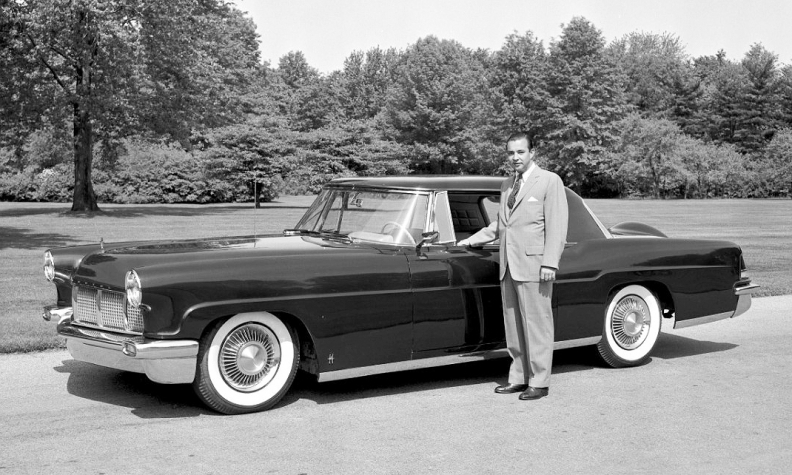 As head of the Continental Division from 1954-56, William Clay Ford led development of the 1956 Continental Mark II, successor to the classic Lincoln Continental developed under the direction of his father, Edsel Ford. He rarely spoke publicly but was reflective during celebrations marking the company's centennial in 2003. At the company's annual shareholder meeting that year, he told stories about his grandfather teaching him to drive at age 10, and of being taken for his first airplane ride in a Ford Tri-Motor by Charles Lindbergh. "I just want you to know that we have tremendous pride in the Ford name," he told Ford shareholders at the meeting. "We have a spirit of working together, and we have a passion for cars. And we also have a great desire to see the Ford name in the forefront of world transportation." Funeral services will be held privately. He would have marked his 89th birthday on Friday, March 14. In lieu of flowers, contributions may be sent in the name of William Clay Ford to the Henry Ford Museum at 20900 Oakwood Blvd., Dearborn, MI 48124 or to Dr. Scott Dulchavsky’s Innovation Institute at Henry Ford Health System, 2799 W. Grand Blvd., Detroit, MI 48045. Ford said company locations in the United States will lower their American and Ford flags to half-staff for a 30-day period.